In between threats of spring thunderstorms today, I decided to try to shear at least one goat. I set up my shearing stand, went in the house to get my shearing stuff, came outside, and found that Raj wanted to be sheared – he was in the stand, just waiting. So I sheared him and gave him treats of peanuts for being such a darn good goat! Raj waiting for the shears. And Peanuts. 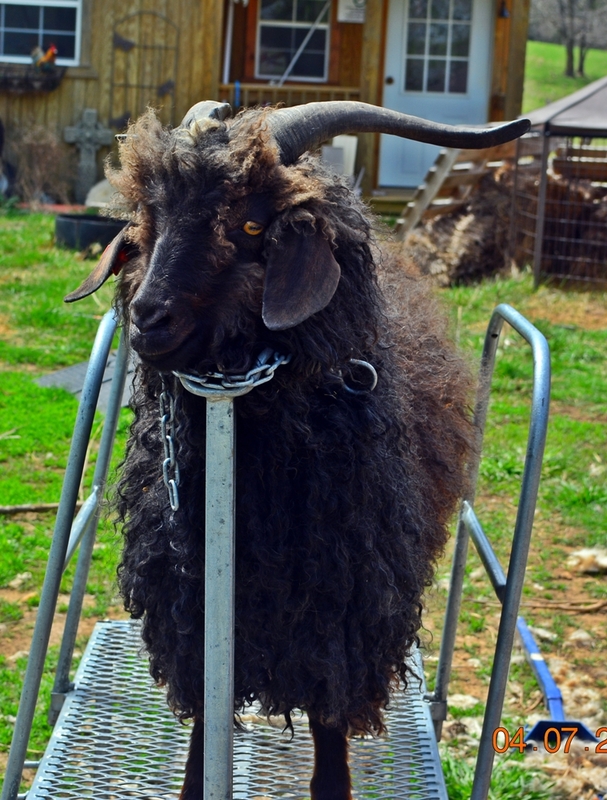 This entry was posted in Castle Argghhh Farm, Goats, Mohair and tagged angora goat, shearing. Bookmark the permalink.